Customize your T-rex MH50 exactly the way you need it thanks to our large selection of accessories. Do more with your Rack by adding a dips station or a wall-ball target Add another pair of olympic bar supports. Take advantage of our storage accessories by mounting on your Rack some plate storage or sing bar holder. The right mixt of functionnality and style ! The T-Rex MH50 has 4 pull-up bars, including two 1650mm pull-up bars that can be simultaneously used by two athlets. It comes with a pair of olympic bar supports for your strenght training. The stability is reinforced by the 3 top crossmembers. 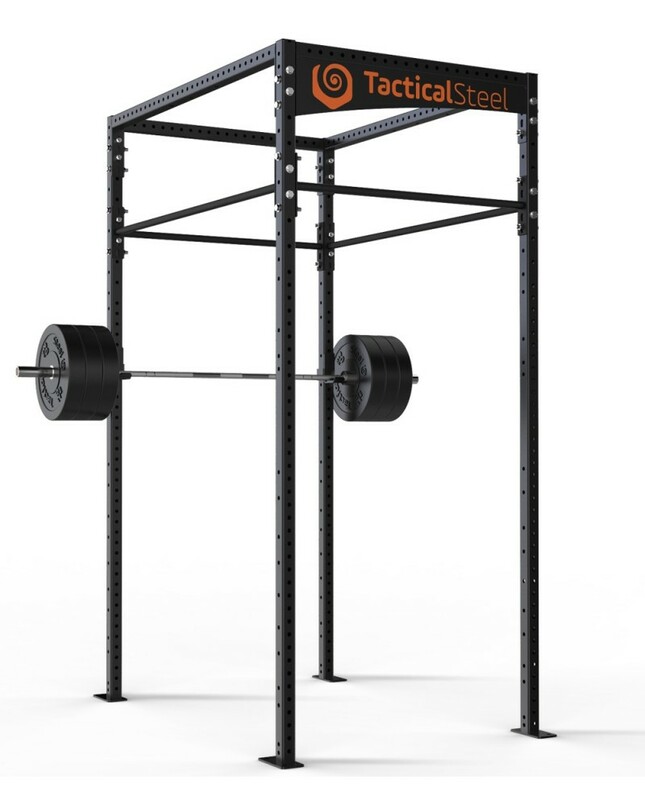 We add the Tactical Steel logo at the top of the Rack wich gives it a unique look ! Mon garage gym a de la gueule avec ce rack ! L'équipe m'a envoyé les plans de montage pour facilité l'installation.